Sundays I strive to take time for family. Okay, that can include watching the Seattle Seahawks game, but my wife is also a fan. However, today I had a few story ideas I needed to write down before kickoff. In my home office, I turned on the computer and soon discovered that Through the Storm has risen to #42 on the Amazon post-apocalyptic bestseller list. Through the Storm reaches the #42 spot on the Amazon post-apocalyptic bestseller list. Since the release of the novel, the story has risen from the 750 spot into the top one hundred, and then moved up and down in the double digits. But, before today it had never risen above the fifty spot. Eight places may seem small, but it sure made me happy. In this sidequel, I’m focusing on the Major Franklin character that Neal Evans meets on day three of Through the Storm. Readers will see the events that brought them together, but this time through the eyes of the major. I’ll also reveal more about the militia group that raided the park where Neal had spent the night. I hope to release this as yet unnamed sidequel early in 2018. All three of my Strengthen What Remains novels have reached the Amazon War Fiction top ten bestseller list at the same time. Braving the Storms, my latest novel is at number eight. Through Many Fires, the first novel in the series is in the number five position, and A Time to Endure has reached the number one spot. Currently, we’re promoting A Time to Endure, so I expected it to move up in the ranks and, of course, I hoped that it would reach number one. What I didn’t expect is for people to buy the other two books at the same time, and have all three in the top ten this morning. Thank you, everyone, who bought the books, reviewed them and helped spread the word. This is a great start to 2016. Wow! This has been an outstanding year. Through Many Fires and A Time to Endure are side-by-side on the Amazon War Fiction bestseller list. Both have been higher on this list, but it is nice to see them together. In addition to that great news, all the distributors of my books, Amazon, Nook, Kobo, Smashwords, Audible and iTunes, report higher sales for my books in 2014 over 2013. The end of the year is a time to count blessings, and I have many. I’m out of the hospital, feeling well and earning a living at my dream job, just to name a few. Thank you for making this a great year! Yesterday, Through Many Fires reached number one on the Kindle Science Fiction Military, Post-Apocalyptic and Dystopian bestseller lists. During that time, the novel was the number 28th bestselling book on Amazon Kindle. As I write this it is hovering around number 33. This has been the best week of sales since I began publishing my writing. Such sales are always welcome, but with the forthcoming release of the second book in the Strengthen What Remains series, they are even more appreciated. That upcoming novel, A Time to Endure, starts the same day the first novel ends. 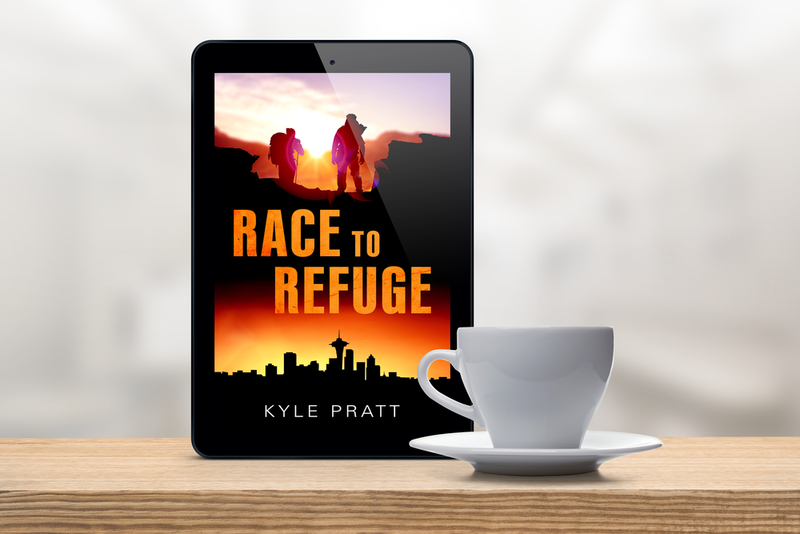 Caden struggles to keep his family and community alive as the nation’s economy teeters on the verge of collapse, the dollar plunges, inflation runs rampant, and the next civil war threatens to decimate the wounded country. A Time to Endure will be released on December 12th, but is available now for preorder now on Kindle, Nook, Kobo and Smashwords. On December 12th the paperback edition will be released and the audiobook will follow shortly afterwards. Through Many Fires is again a bestseller, reaching #5 on the Amazon War Bestseller list. In the first novel, Through Many Fires, Strengthen What Remains, book 1, terrorists smuggle a nuclear bomb into Washington D.C. and detonate it during the State of the Union address. Army veteran and congressional staffer, Caden Westmore in nearby Bethesda, watches as a mushroom cloud grows over the capital. The next day as he drives away from the still burning city, he learns another city has been destroyed, and then another. America is under siege. Panic ensues and society begins to unravel. A Time to Endure, Strengthen What Remains, book 2, starts the same day the first novel ends. Caden struggles to keep his family and community alive as the nation’s economy teeters on the verge of collapse, the dollar plunges, inflation runs rampant, and the next civil war threatens to decimate the wounded country. A Time to Endure is available for preorder now on Kindle, Nook, Kobo and Smashwords. On December 12th the paperback edition will be released and the audiobook will follow shortly afterwards. This has been a really good day. The mail plane brought me two care packages from my wife and my food order from Bethel. Oh, and my book, Through Many Fires is on two Amazon bestseller lists. I’ve been staring at the screen and then refreshing the browser much of the day as the novel climbed up the lists. Just a few minutes ago the book was #11 on Amazon's Science Fiction post-apocalyptic list and #51 on the Mystery & Thrillers list. In addition to my wife, who has read and reread every draft of the book, there are several people I need to thank. Barbara Blakey did a superb job of editing. Micah Hansen designed a fantastic eye catching cover. Joyce Scott, Bob Hansen and Carolyn Bickel have patiently taught me so much about the craft of writing. Thank you all so much. I suppose many authors would celebrate on the night that their book became a bestseller. I’m not sure where in Eek, Alaska, I would go to do that so I’m just going to make dinner with some of the food that arrived today, then wash the dishes and try to get some sleep. August 20, 2013, Follow-up note: Today Through Many Fires reached #10 on the Amazon Kindle Science Fiction post-apocalyptic list and #39 on the Mystery & Thrillers list.